Thirty-six national titles are on the line Jan. 9-14 as the nation’s leading amateur and professional cyclocross racers descend on Reno, Nev. for the USA Cycling Cyclocross National Championships. National champions will be crowned in the junior, collegiate, U23, masters, and elite ranks. Nearly 2,000 racers from across the U.S. will convene at Rancho San Rafael Regional Park in Reno for the championships. Rancho San Rafael Regional Park is managed by Washoe County’s Community Services Division: Regional Parks and Open Space. The Department’s mission is to provide exceptional parks and open space, and recreational opportunities while preserving our natural, historical and cultural resources. For more information, visit www.washoecountyparks.com/. Cyclocross is an exciting sport to witness and spectator vantage points are available close to the action all along the course. Riders complete multiple laps around the 3-kilometer course (3.3 km for elite riders on Sunday) in all weather conditions through asphalt, dirt, grass, and sand while encountering various obstacles that may require the riders to dismount their bicycles. The fan experience is enhanced at the start/finish area with live race announcing and an expo providing merchandise tents and a variety of mobile food vendors. Competitions begin Tuesday, Jan. 9 and culminate on Sunday, Jan. 14 with the fan-favorite events which include Junior 17-18 Men, U23 and elite competitions for men and women. 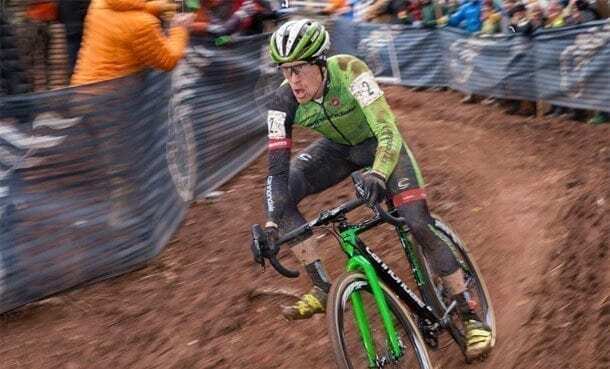 Among the athletes who will be on hand to defend their titles are the defending elite national champions – Katie Compton (Colorado Springs, Colo./KFC Racing p/b Trek Panache) and Stephen Hyde (Easthampton Mass./Cannondale p/b Cyclocrossworld.com). Compton will go after an unprecedented 14th consecutive win in the elite women’s field. Hyde won the inaugural ShoAir US Cup-CX Series title in 2017 and finished third overall in the USA Cycling Professional Cyclocross Calendar (ProCX).